Bale has not trained since joining up with the squad, but he has been attending team meetings and will be in the changing room tonight. Photo credit: David Davies/PA Wire. Wales manager Ryan Giggs says Gareth Bale's absence from tonight's friendly against Spain is an opportunity for his other players to prove they are not a one-man team. Bale, who has a groin problem - described as "muscle fatigue" - has been given a 50-50 chance of facing Ireland in next Tuesday's UEFA Nations League game in Dublin. Giggs has several attacking alternatives in his young squad and he is counting on them to show there is life without the country's all-time leading scorer. "We obviously have options," he said. "We've got Sam Vokes, Tom Lawrence, Tyler Roberts, who can all play up top, or you can play two up top. "We need those options because Gareth sometimes isn't going to be there. That was something I was aware of when we took over. That was why I tried to push a lot of the young players through and sort of fast-track them. We need a Plan B." Giggs said Wales would consult Real Madrid's medical staff before taking a decision on whether or not to field Bale against Ireland. Bale, 29, has not trained since joining up with the squad, but he has been attending team meetings and will be in the changing room tonight. Wales opened their Nations League campaign with a one-sided 4-1 win over Ireland in Cardiff last month, before losing 2-0 to Denmark in Aarhus. 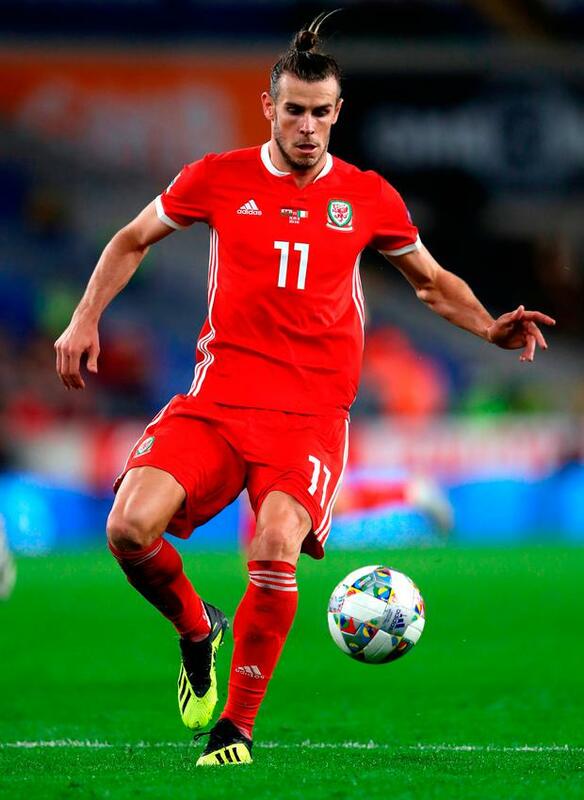 The Welsh FA has switched tonight's game to the Principality Stadium in the hope of cashing in on the presence of Spain stars such as David De Gea and Sergio Ramos. A crowd of over 50,000 is expected and at Giggs's request the roof will be closed to enhance the atmosphere and mitigate against the risk of rain. Giggs described the pitch as "magnificent" and joked that it might work against Wales, given the clinical manner in which Spain dismantled World Cup finalists Croatia 6-0 on their last outing. "The pitch might be too good!" he said. "I thought about growing the grass a little bit longer." Wales have not played at the 74,500-seater Principality Stadium since a Euro 2012 qualifier against England in March 2011. Spain, who host England in the Nations League on Monday, held a minute's silence before training yesterday in memory of the victims of the flooding in Majorca. Luis Enrique is without Isco, Diego Costa, Dani Carvajal and Sergi Roberto due to injury.